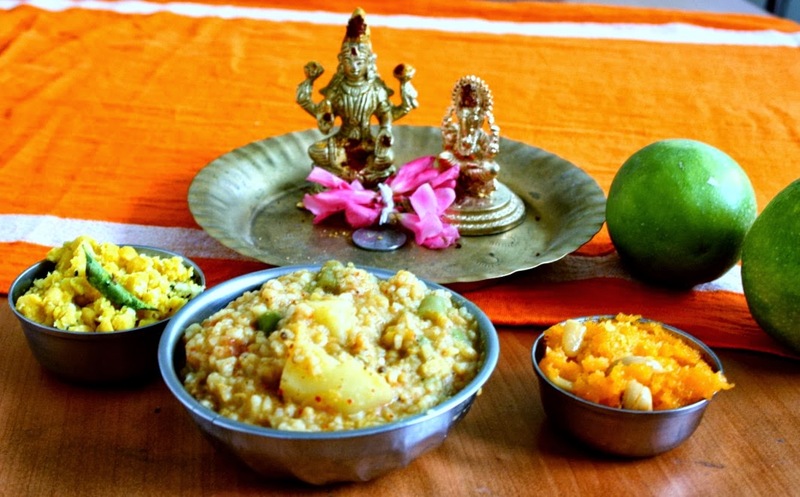 Seventh day Neivedyam was Bisi Bele Bath, Kesari Bath and Kadalai Paruppu Sundal. Since I have quite a few Bisi Bele Bath, I wanted to try a different proportion and I remembered Suma talking about her family recipe. I checked her recipe and it sounded so delicious. She didn’t use peppercorn in the spice powder, rest were all almost same. And she cooked over a pot. I never venture into cooking in pots or pans. It’s mostly pressure cooker for me. Even though it felt it might be time consuming cooking over a pan, I went ahead and made it. It was so delicious. The rice was gooey as it was supposed to be even by afternoon for my lunch. The spice measurement might have been a eye ball throw as I can never measure myself. I was so happy that everybody loved it. I guess making in the pan differed from PC as it normally gets thick by afternoon. So for that I should thank Suma. Wash and soak the rice. Then add the vegetables, rice, salt, turmeric powder, 3 cups water, continue cooking in simmer for another 15 mins. Meanwhile for the spice powder, dry roast all the ingredients and cool. Grind to a smooth powder and keep it aside. Now add the spice powder to the boiling rice, Ensure the rice is almost cooked. Next add the tamarind extract and 1 more cup water depending on the texture. Finally when the rice is cooked well, heat another pan with ghee, saute cashews, curry leaves and mustard. Once they splutter, pour into the cooked rice and serve. The entire cooking takes about an hour. I used about 10 cups of water in the end. Yummy preparation..It sure looks like it is worth the effort!! 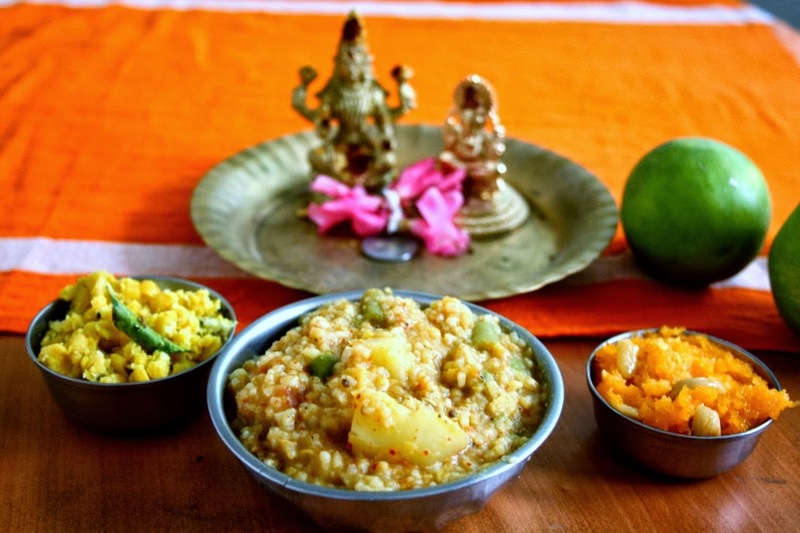 hmm.. delicious bisi bele bhath!